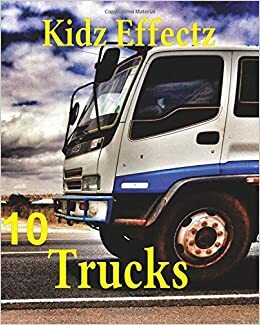 Volume 10 ‘Trucks’ of a new series of Children Books - Kids Illustrated Series, from Kidz Effectz (Kids Effects). The series is intended to become a read along story time in connect with a discussion of notable people or careers within the community. Discussions can follow the pictures to provide some quality interactions as well as thoughts on growing up, future careers, quality of life for the child, adults and animals within the sphere of influence.